Someone great once wrote the lyrics to the song, Do You Know What It Means to Miss New Orleans, an anthem to a city that is quite difficult to leave. Unless you are born there, you arrive with every intention of passing through, but New Orleans’ magic enchants you and it gets under your skin, but eventually you do move on—bitterly questioning why at every step—and sooner than you ever thought possible, you find yourself missing it with such intensity that you get it. You get the spirit of the song. Seven years is not enough to learn every corner of a city. There’s plenty I have yet to see. Maybe I will never see those fabled places of that fairytale city, but of what I did see of New Orleans, here are the things I miss the most. Even when there really shouldn’t be a reason—such as after a hurricane destroys the city or a historic building is torn down—New Orleans is always down to party. I have been to a few other cities in the United States, and while these have been fun, nothing has ever compared to New Orleans. It’s not just during Carnival season. It’s not only in Bourbon Street. It’s everywhere, all of the time. I’ve been to parades held solely because it’s Sunday. Even in the sadness of death, there will often be a joyous Second Line. The people have a joie de vivre that the French cultivated—and as an ancient French colony—New Orleans inherited and has perfected. Mardi Gras may come and go, but the beads will still be there. The beads will be bright and cheery at first, and then slowly wilt in color and shape like fake, plastic leaves trees shed during the fall. Then Mardi Gras comes again, or St. Patrick’s Day, or the Saints win the Super Bowl—or any other event where there will inevitably be parades and beads thrown—and the city is once again adorned in it’s signature decoration: colorful plastic beads. 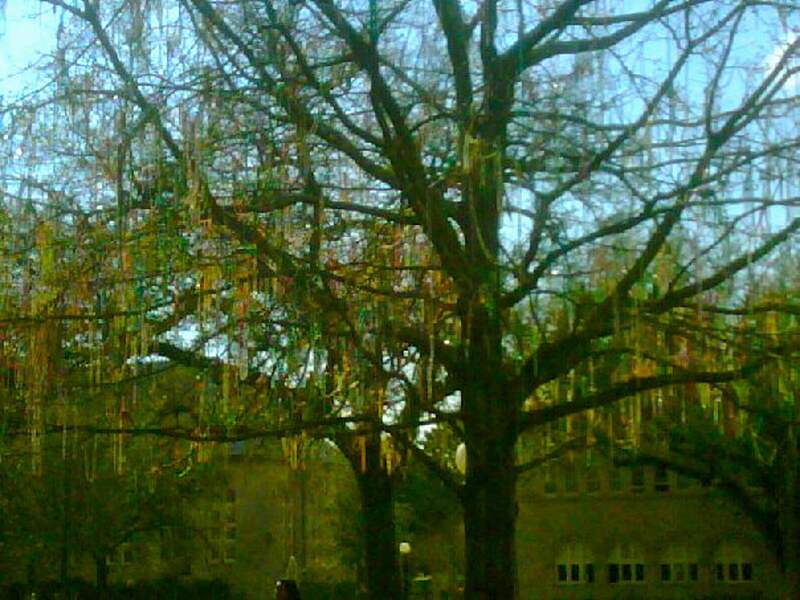 The famous Mardi Gras tree at Tulane University. Like a moth to a flame, I am attracted to lights. 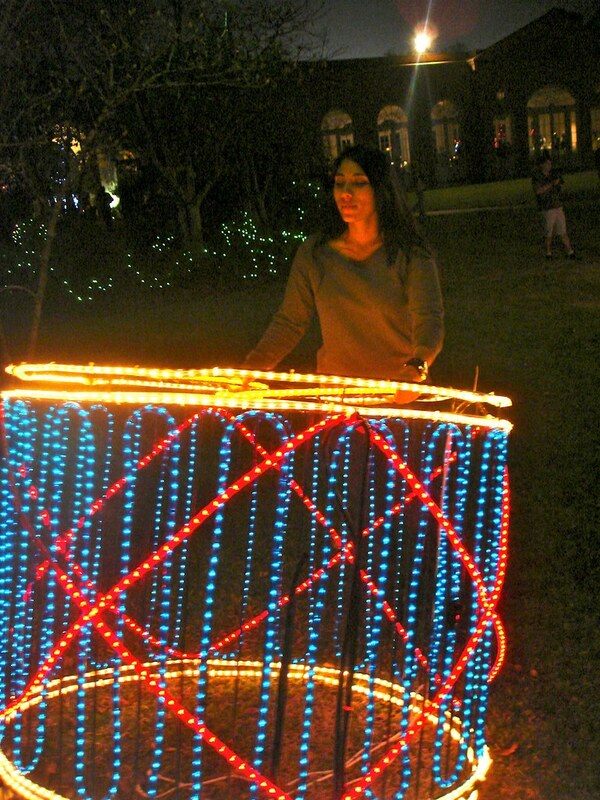 Lighted buildings, neon lights, Christmas lights, LED decorations in parades—the list is endless—and New Orleans has it all. It may be sacrilegious to write about great things in New Orleans and not mention the food. Yes, the food is amazing. New Orleans is brimming with delicious restaurants that have fed me well for the past seven years. I do not cook. I partially blame New Orleans for that. I especially blame the large Vietnamese population that settled in the city and opened restaurants whose existence my friends and I probably sustained. 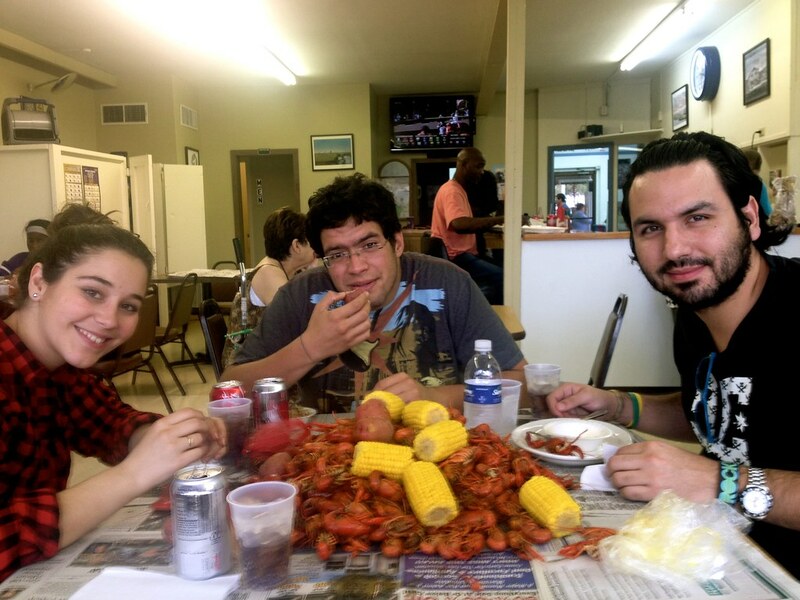 But the one single, local food—other than King Cake—that I miss the most is crawfish. It’s delicious, sometimes painful to eat—such as when your fingers are filling up with tiny cuts from cracking the crawfish’s shells and their spiciness burns—but you keep on eating, pound after pound. There are Crawfish Festivals where people get together to eat, literally, tons of crawfish. It’s a social activity, and of course, yet another reason to get together and have a party. I don’t know how nature sustains this insatiable feasting—but I’m sure we are all glad nature pulls through. Frenchmen Street is probably the single place in the city where I’ve had the most fun. New Orleans is packed with all kinds of venues, but the truth is, the best parties are usually outside. On the street, under stars, on Halloween, by the river, in the early morning sun—New Orleans has abundant occasions to enjoy hanging out in the middle of blocked off streets bursting with people and the sound of beating drums, trumpets and saxophones—undoubtedly made possible by the fact that drinking outside is not only allowed, but encouraged. San Fermin Running of the Bulls Festival. 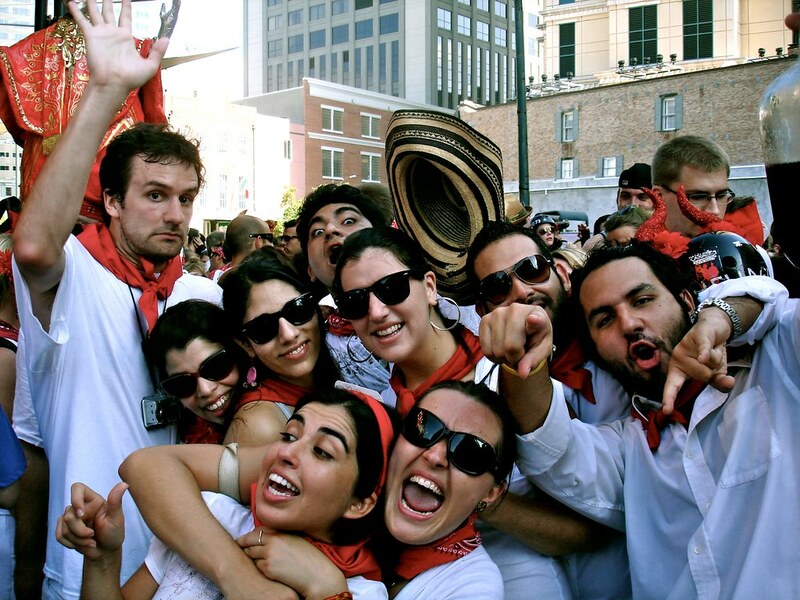 New Orleans is obviously not Spain, but we celebrate as if we were. The greatest gift New Orleans has given me is the countless opportunities to see live music and more than a hundred concerts. I know this, because I’ve kept track. New Orleans is renown for its live music scene—and with good reason. The local artists are amazing musicians and vibrant characters. 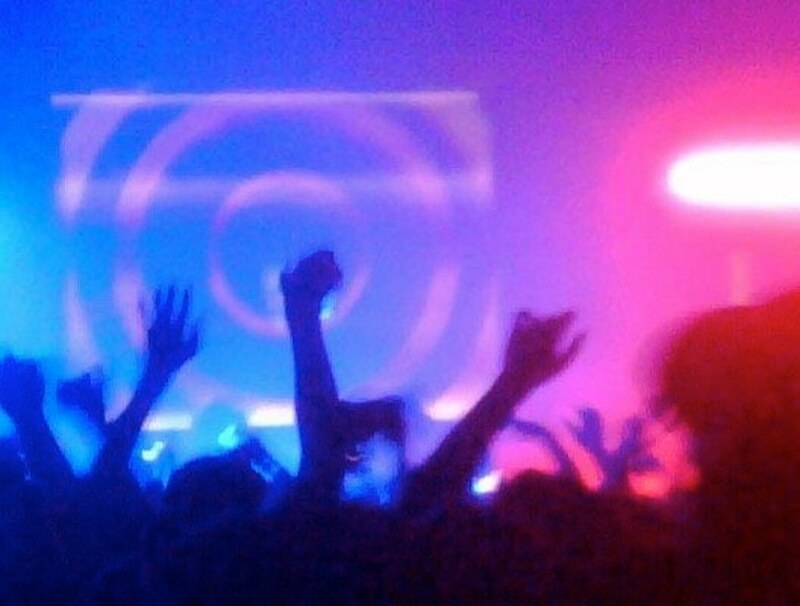 Their passion for music is tangible, intoxicating and no concert I’ve been to in any other city has recreated quite the same atmosphere. 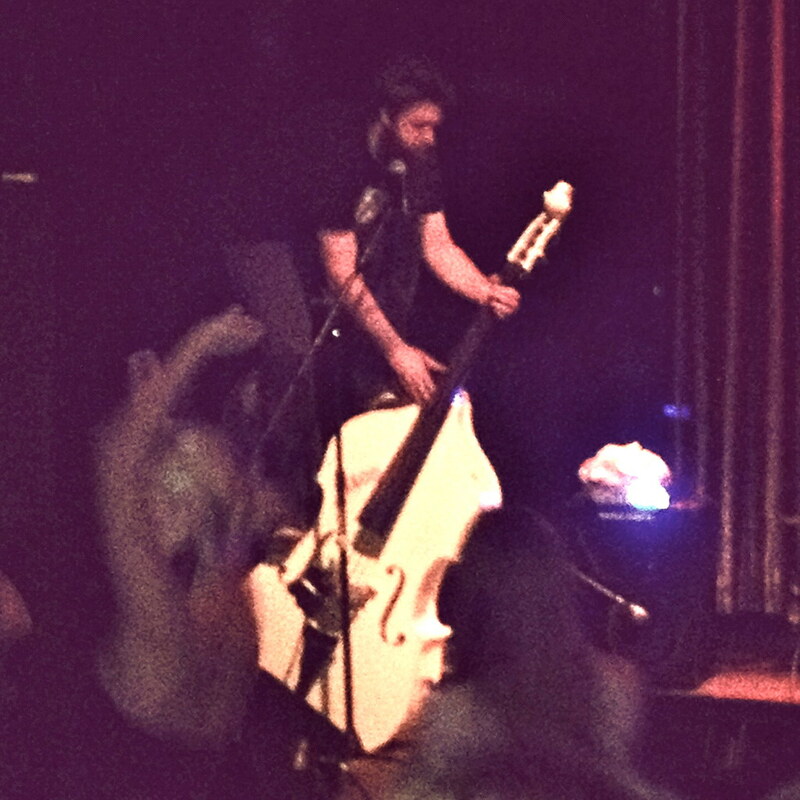 Debauche at One Eyed Jacks – The cello player is actually standing on his instrument and playing at the same time. It is epic. Aside from the local artists, New Orleans hosts Jazz Fest and Voodoo Fest and a plethora of other festivals featuring big and small musical acts. 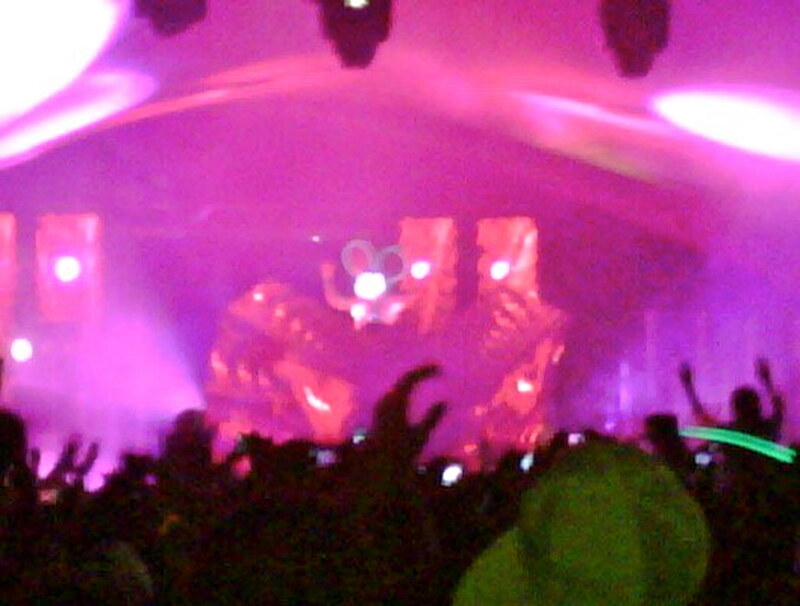 There’s a freedom and a unity coursing through big open fields filled with crowds of people dancing and indulging in the beat. 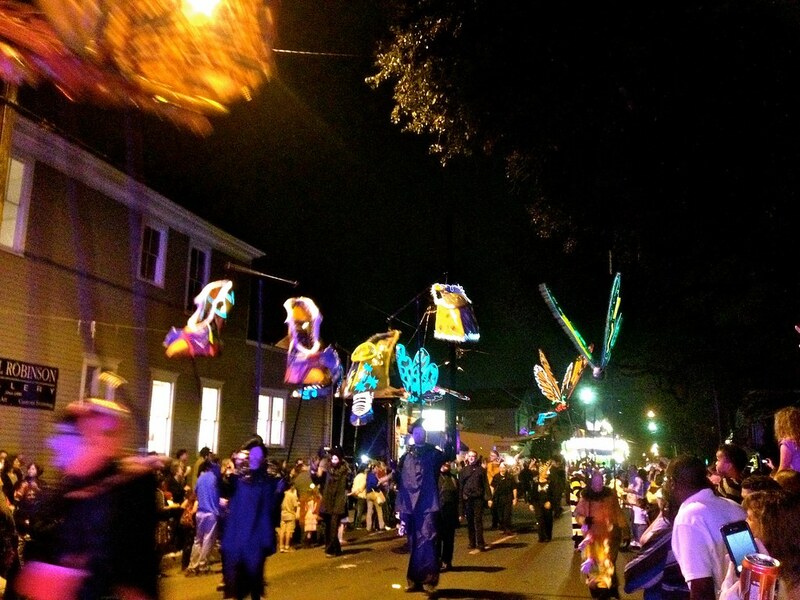 Not too long ago, I was lamenting missing New Orleans to a friend of mine over G-chat. I was sitting in an Indonesian high school in the middle of the day, and she was sitting in a downtown hotel in the middle of the night listening to jazz musicians play. I was seething with jealousy, but then she spoke these important words: New Orleans will always be here. 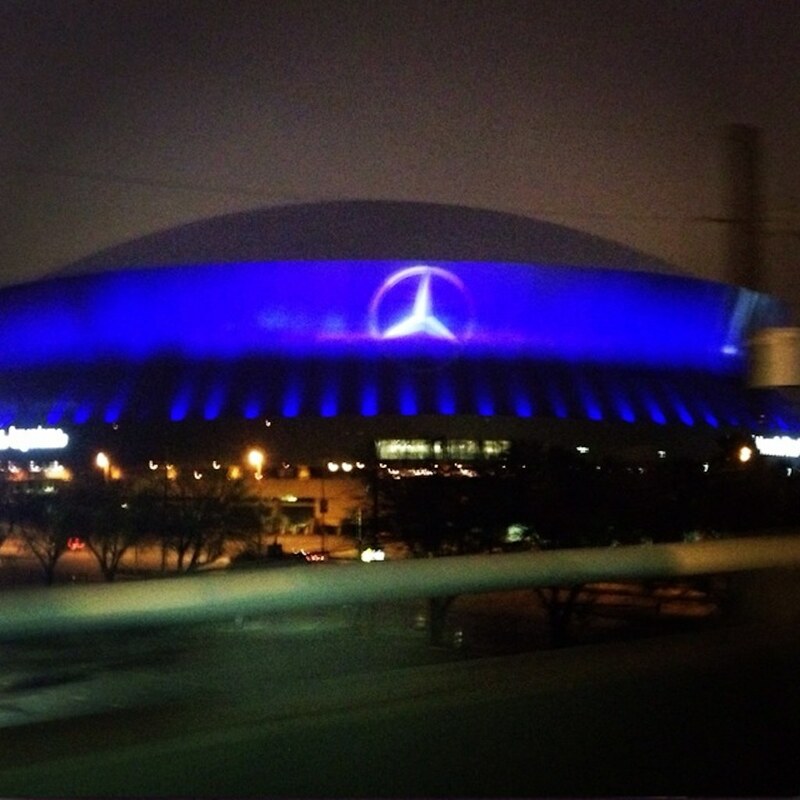 I hope so New Orleans. I can’t wait to see you again. 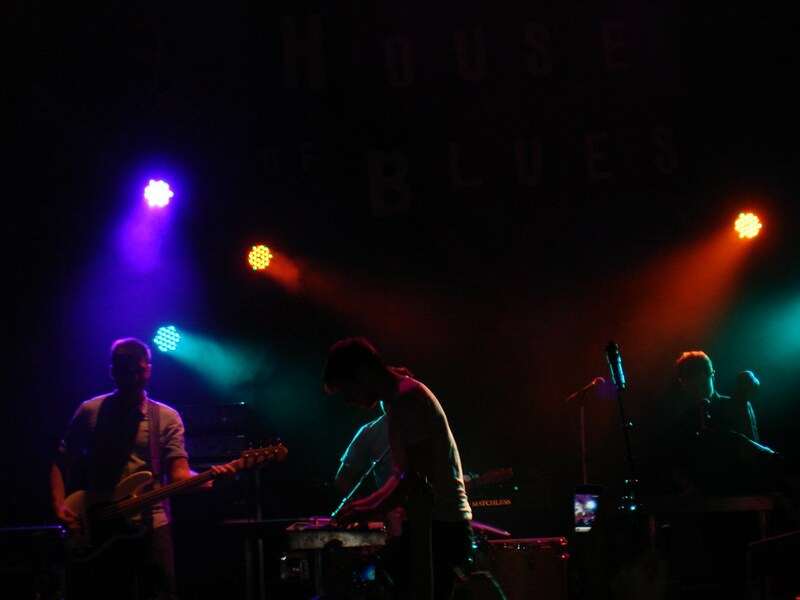 Tags: billie holiday, bourbon street, carnival season, christmas at the oaks, city park, Crawfish, deadmau5, debauche, do you know what it means to miss new orleans, foster the people, french colony, frenchmen street, grand palace hotel, jazz fest, joie de vivre, louis armstrong, Louisiana, Mardi Gras, muses parade, New Orleans, One Eyed Jacks, party, plastic beads, travel, vacation, voodoo fest. Bookmark the permalink.